1.) We Can Bring You Relief From Pain - Acupuncture excels at pain management, period. The types of pain acupuncture can treat is almost endless and includes headaches, TMJ, neck pain, shoulder pain, back pain, hip pain, elbow pain, wrist pain, knee pain, ankle pain, plantar fasciitis, sprains, strains, broken bones, fibromyalgia and more. If something hurts, acupuncture can help. 2.) We Can Help You Be Less Stressed & Lift Your Mood – Stress is the single greatest contributor to all disease. In our experience, acupuncture can calm anxiety, lift depression, soothe grief, ease frustration, calm anger and irritibility and create deep relaxation. Since stress impacts every aspect of our physical, mental and emotional health, acupuncture can target the intersections of stress and disease, a zone that conventional medicine misses by a mile. 3.) We Can Help You Balance Your Hormones – Ready to get pregnant? Sick of those hot flashes? Ready to live without period cramps? Using either acupuncture, herbal medicine or nutritional therapy (or a combo of therapies for synergy), we can help you get pregnant, stay pregnant, ease menstrual cramps and PMS and help you transition through the symptoms of peri-menopause – all without drugs and side effects! 4.) We Can Help You Have More Energy – Feel like going back to bed by 11 am? Let us help. Low energy is very common, and we treat it all of the time. Acupuncture, herbal and nutritional therapies are extremely effective for getting to the root cause of your fatigue and reversing it. We can also help you sleep better at night. Bonus! 5.) We Can Help Make Your Pregnancy Awesome – Acupuncture is a safe and effective drug-free treatment during pregnancy. 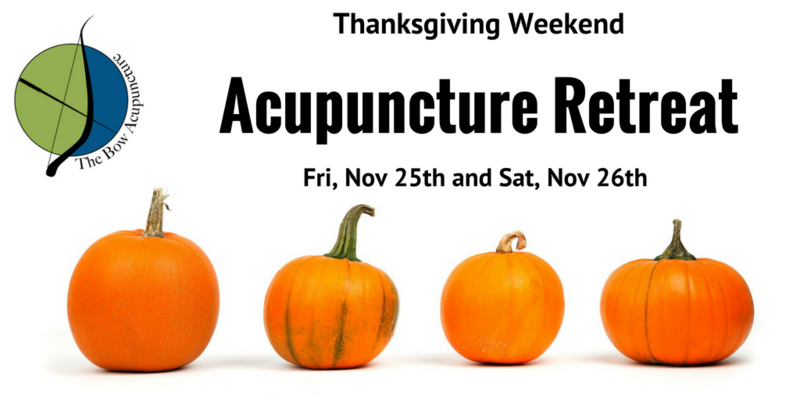 Acupuncture relieves common ailments such as morning sickness, sciatica, low back pain, pelvic discomfort, indigestion, lowered immunity (frequent cough and cold) and breech presentation. When ready, acupuncture can help encourage labor. After childbirth, acupuncture can boost milk production, ease post-partum depression and anxiety, and revive energy. 6.) We Can Help You Heal Through Meditation – Harness the power of the mind. (Coming Soon) We offer a twice monthly guided meditation session by donation to help you learn techniques to connect and mind and body and calm the spirit. Meditation has numerous researched benefits including stress reduction, reduced blood pressure, increased self-awareness, increased happiness, reduced depression and anxiety, pain relief, improved relationships, decreased feelings of loneliness, reduced emotional eating…the list goes on. Read more here. 7.) We Can Help You Heal With Herbal Medicine and Nutritional Therapy – We believe that Food is Medicine. (Coming Soon) One of the most empowering ways we can improve our health is through what we put in our mouths. Many people don’t realize that the foods they eat (or don’t eat) can contribute to conditions such as pain, allergies and sinusitis, hormonal imbalances, low immunity, fatigue, digestive problems, insomnia and more. We offer guidance in healing through foods as well as targeted nutritional and safe herbal supplementation that can help you heal your body naturally. 8.) We Can Help Heal Your Allergies and Sinus Problems – Pollen is a jerk. We can help! Acupuncture provides almost instant relief for most people suffering from sinus pressure, headaches, itchy eyes and throat and post-nasal drip. We can also help you go deeper into healing your allergies, with nutritional therapies and herbal medicine. 9.) We Offer Strategies to Change Your Habits for Good – Wellness Coaching can help you set goals and keep them. (Coming Soon) We offer one-on-one wellness coaching, online or in person, to help you live a better life, happier and healthier life. Wellness coaching can help you find the motivation you need to make changes, and can help keep you accountable on your path to your new lifestyle! 10.) We Can Help You Find Natural Products to Heal – Visit our natural wellness shop to find healthy living products to make every aspect of your health better. (Coming Soon) If you'd like to avoid pharmaceutical or over-the-counter drugs whenever possible, we can help you find natural solutions and products that can better your life. We Are Healthy for Your Pocketbook, Too – At The Bow Acupuncture & Community Wellness, we strive for affordable integrative healthcare for all. Our acupuncture is priced on an sliding scale, so that you can get the number of treatments you need to heal. Our acupuncture treatment prices are anywhere from 50-90% less than many other acupuncturists in our area. We also price our herbal medicine and nutritional supplements reasonably, so that you can afford to experience the benefits of these very useful healing tools.